Nîmes-Caveirac-Sommières by the Greenway Voie Verte de la Vaunage. 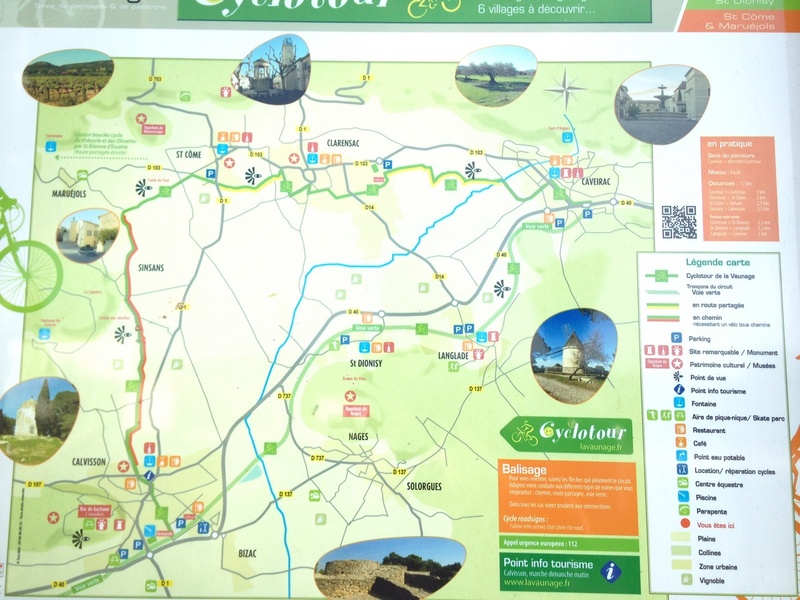 Locally called “la voie verte de la Vaunage”, the Vaunages greenway (a former railway) is a 22 km traffic free section running from the village of Caveirac to the village Sommières. 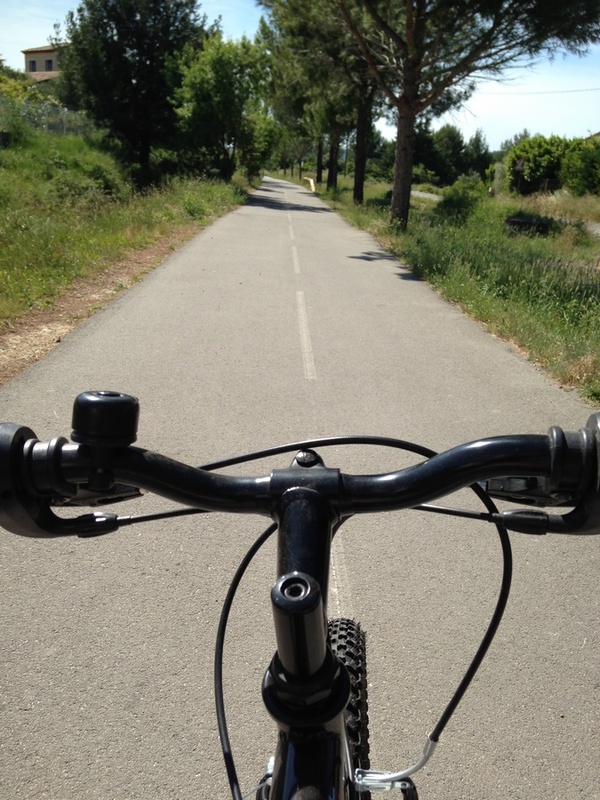 Nature takes centre stage during most of this journey, as you cycle past the Garrigues that goes through the charming vinyards and rural landscapes. This is an easy difficulty route, unless you decide to add the uphill Nîmes -Caveriac part to your trip. The Voie Verte de la Vaunage is a perfect scenic route for pedestrians, cyclists, rollerskaters and people of reduced mobility. 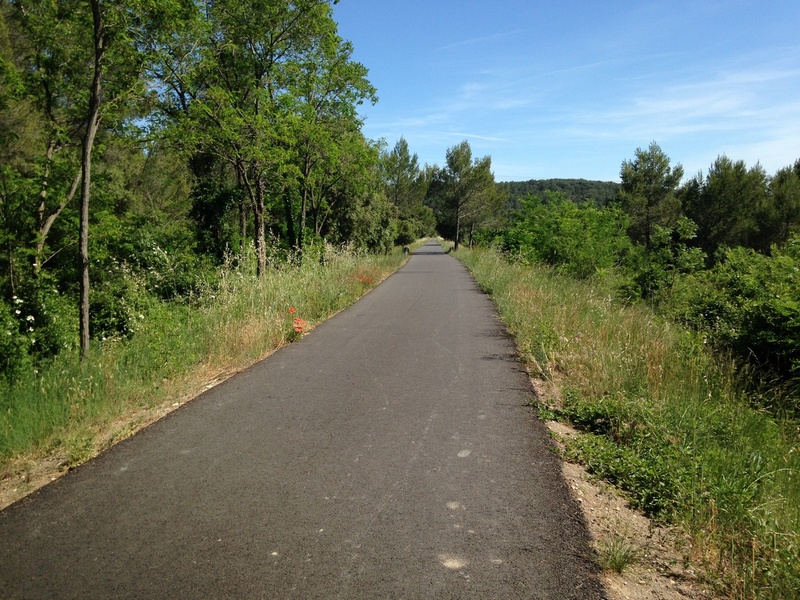 It comes in addition to the several newly added greenways in the region of Nîmes. If you are a seasoned cyclist, you can start from Nimes at the roundabout located between the avenue Joliot Curie and avenue Kennedy. Then take the direction of Caveirac for this uphill route along the traffic. It will add a 4km to the 22km of the voie verte, making the total distance of this route to a good 26km. However the traffic free cycling section (and to me the most interesting part) begins in the village of Caveirac. 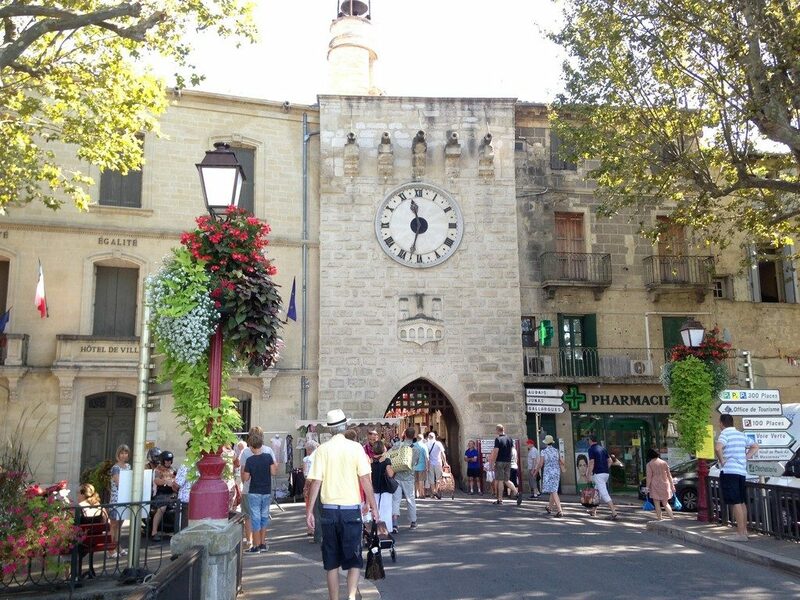 The starting point is at the intersection between the Impasse Fontaine de Durand and the Chemin de Milhaud. It is easily accessible from the Route de Nîmes or the Route de Sommières. 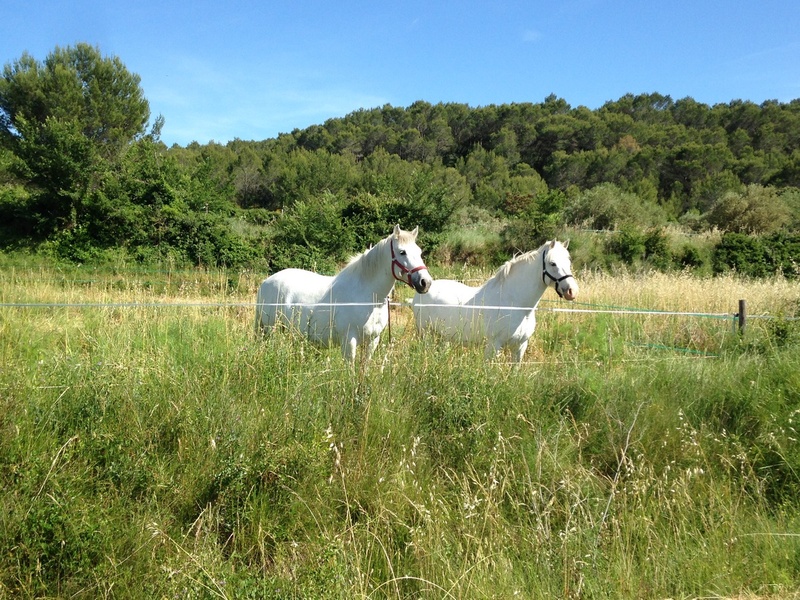 The flora and fauna are exceptional and typical from the Vaunage area. Pine trees, kermes oak, vines, Aleppo pines, thyme, rosemary… a true pleasure for the eyes and the nose! You can also stop along the road and seat on one of the several benches that are set along the way. Then just take the time to look at the landscape and hear the sound of Nature. You can find car parkings and facilities such as drinking spots along the route (Please see the map bellow). If you need to park your car in Caveirac, you can easily to it in one of the several streets near the chemin de Milhaud or at car park of the Caveriac Supermarket “Intermaché”. Also notice the path is wide with no stiles which makes The Vaunages Greenway a great spot for people with a disability. Beware that the above map, indicate at the upper part, an additional and long trip that goes around to Clarensac, St. Come and Calvisson.